This week, Square Enix released Adventures of Mana, a remake of the classic Game Boy action-role-playing game Final Fantasy Adventure. Like many of Square’s other mobile games, it’s both A) pricey and B) excellent. This is an exact 1:1 remake of Final Fantasy Adventure, all the way down to the positioning of terrain obstacles. If you’ve ever played FFA, this remake will feel very familiar, in contrast to the Game Boy Advance’s Sword of Mana, which was also presented as a remake of FFA but instead felt like a totally new game. 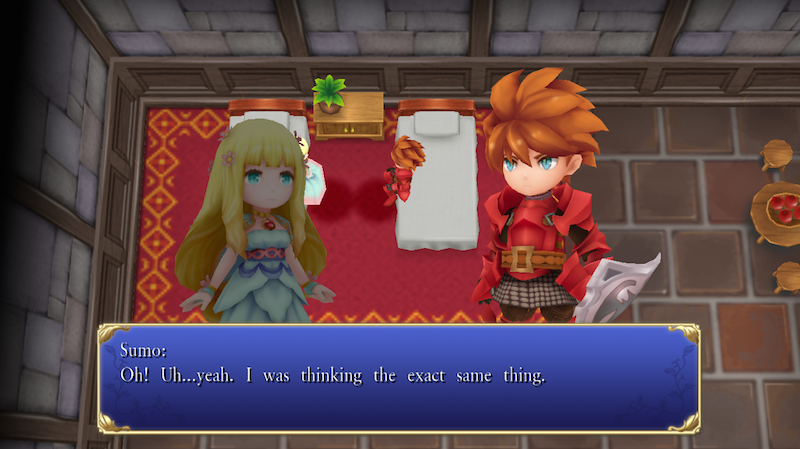 (Adventures of Mana is much better. It’s really good! It’d be better with buttons and a d-pad, but the touchpad controls are just fine, and the enhanced score is superb. It looks great, too. If you’re gonna play, here’s one essential tip: Make sure you’re stocked on mattocks and keys at all times. Buy a couple of each item as soon as you get to the first store.